Before you setup your Signal Repeater Kit, please read this article so you'll have a better understanding of how the device should be properly installed. 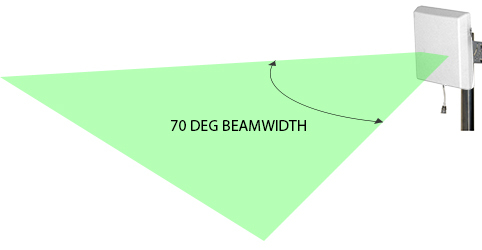 The parabolic dish has a beam width of 15 Degrees and a very high gain of 24dBi. It should be used in dense urban cities with populations greater than 1 million. If you have 6 green LEDs showing on the repeater, the signal from the indoor antenna will cover 30x30M (open space). 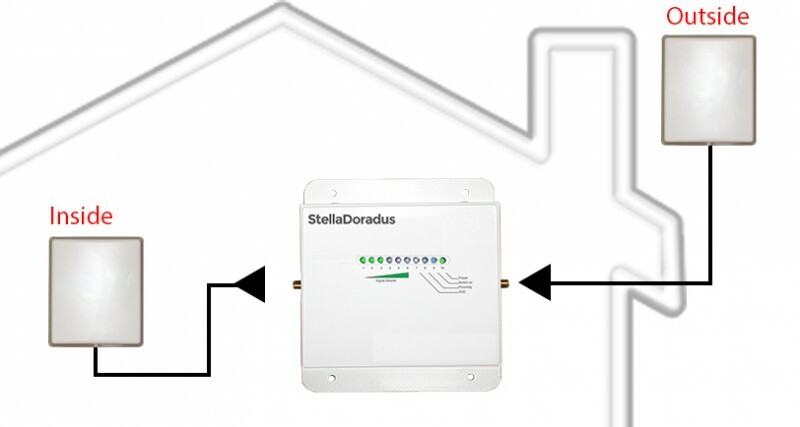 So, if you have a 2-3 storey house with solid internal walls and a concrete ceiling between the upstairs and downstairs, then you will need a 4-port repeater (StellaOffice Product Lines). You must point the external antenna to the direction of your operators tower. The 6 green LEDs measure the overall signal strength outside your house. Checking signal strength is not difficult. You can just read the LEDs and you'd know how weak/strong the signal you're receiving. You can check the number of LEDs that light up (1-6). NOTE: It is important to note in a signal repeater installation, that the repeater should receive the best possible signal from outside (5-6 LEDs ideally). The repeater then amplifies a clean signal and distributed in a large area through the internal antenna. Find which frequency your phone is getting and therefore you would know which repeater to buy. You need to get ARFCN/UARFCN/EARFCN values so you will now the frequency you're receivng. In order to obtain the ARFCN/UARFCN/EARFCN, you will need to enter "Field Test Mode" in your phone. This varies greatly from phone to phone. Generally, it involves dialing certain codes in the dialer in order to bring up the hidden options. For iPhone, follow the guide below. For other phones, you can use the codes below and look for the ARFCN/UARFCN/EARFCN values. Your iphone will typically connect to one frequency in your current location. Once you know this frequency, you can choose the right booster for you. Take note, do this test somewhere where signal reception is at best. If you see the E symbol or just the signal bar, then you're on GSM / EDGE and your frequency is 900Mhz (Band 8). For some old models of iPhones, UARFCN or Downlink Frequency is under UMTS Cell Environment. 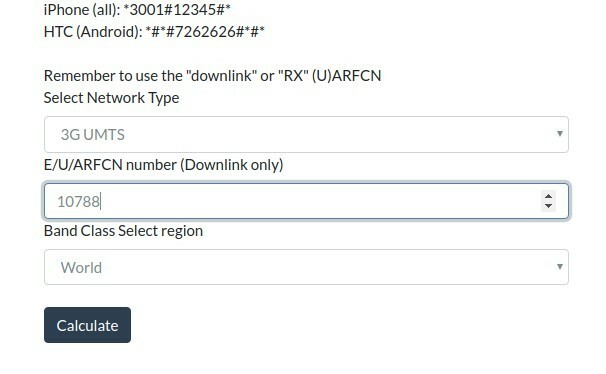 Look at the number listed next to UARFCN or Downlink Frequency. It will be something around 10589 or 3088. Copy the number and go to this online tool. On the Frequency Calculator page, go to Select Network Type and select 3G UMTS. Then paste the copied UARFCN value to E/U/ARFCN number field. Hit Calculate button and check the result. You should notice the value for Downlink Frequency - that's the info you'd want to take note if you'd want to know which signal booster for 3G to buy. Now on that page, you should see the Freq Band Indicator or EARFCN or UARFCN number. 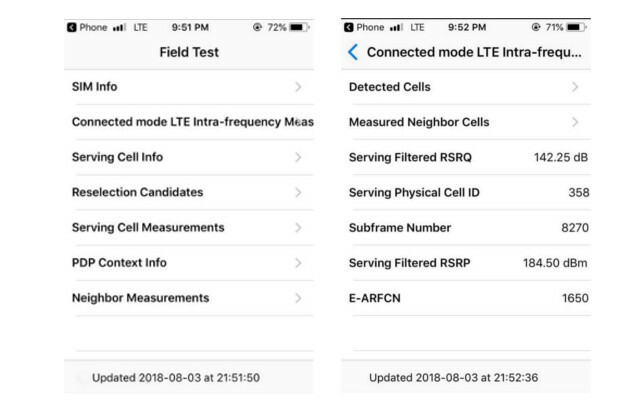 For newer version of iPhone, you will have to look further under Connected mode LTE Intra-frequency. On that page you should see EARFCN or UARFCN number. Copy the number next to it and paste it to the Frequency Calculator page. Select 4G under Select Network Type and hit the calculate button. Check the result and get the value for Downlink Frequency. That's the frequency transmitted by your carrier. Take note of the info and browse through our 4G signal repeaters that matches it. People makes mistakes and most of them call us to ask for support and installation advice. To avoid installation hassles and issues, we have listed down the common mistakes done by other people in order for you to avoid similar mistakes. People do a quick test and put the indoor and outdoor antenna in the same room. This causes feedback and the repeater will not work. The external antenna is connected to the wrong side of the repeater. It should be connected as shown in the diagram below. The external receiver antenna is installed behind a steel wall or building, or in a position where it cannot receive and send a clear signal. It is best to install the antenna as high up as possible to receive a clean signal. The external receiver antenna is not orientated towards your network operator's tower/mast. A closer operator tower is drowning out the signal instead. Move the antenna directly towards your operator. Solution: Install receiver antenna high enough and pointed to your network operator's tower/mast and that you receive at 3-5 bars. The second problem can either be solved by your operator (by increasing their bandwidth) or by you (by upgrading your plan to a higher bandwidth). 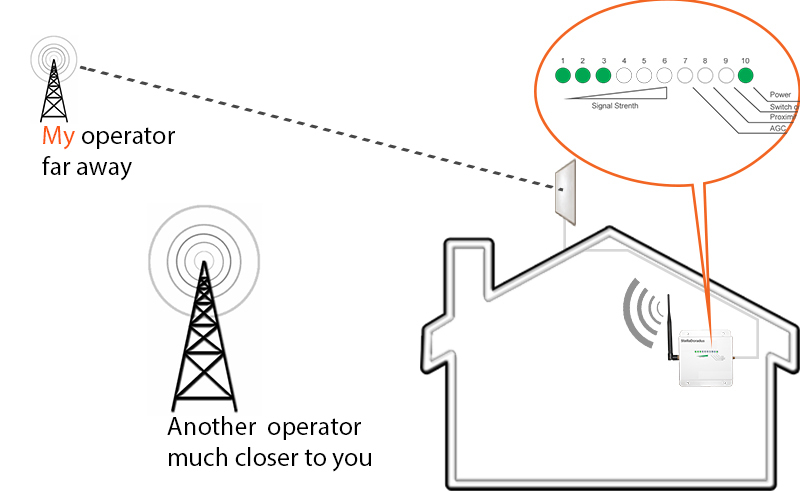 If the repeater is installed within 1km of the operators mast, it will reduce the gain in 1dB steps (you will see ORANGE LED light up and then switch off after 4 seconds). This means the repeater is adjusting its power. If you see the red LED permanently turned on and only 1-3 green LEDs on (see below), you have feed-back. You need to create more separation between the outdoor and indoor antenna. Please ensure that there is at least one solid block wall separating both antennas. 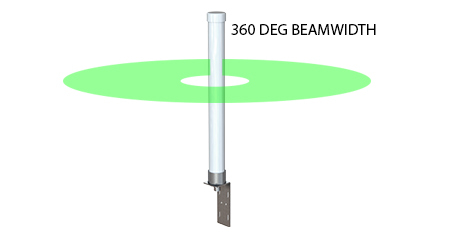 For a large installation (ie; buildings, ship or hotel), the indoor antennas should be omni-directional and installed every 15Mt in the corridors. The signal will pass through the doors and into the rooms (assuming the doors are not special doors that the signal can’t pass through, like metal doors). If you want to browse all our signal repeater kits, please check out this page.